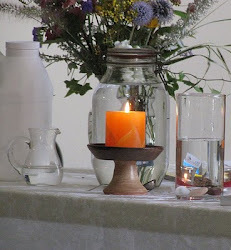 UU A Way Of Life: Reading Chittister - What are you born to do? Reading Chittister - What are you born to do? 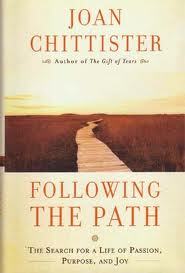 This month the UU A Way Of Month book selection is Following The Path: The Search For A Life Of Passion, Purpose, and Joy by Sr. John Chittister. Sr. Joan’s little book helps us reflect on the primary existential questions of why was I born, and what is the purpose of my life? I have often said to myself, “It’s not a bad life if you know how to live it.” And figuring out how to live it as I have gone along has been very important to me. Where this idea came to me from, I don’t know, but I have strongly held it and reminded myself of it throughout my life. Having told this to myself, I also am quickly aware that I don’t usually know how to live it, but it is much clearer what I shouldn’t do so I go forward humbly seeking God’s will for me. This sense of vocation, a calling from God to do something important with one’s life, is the basis of faith. Our first experience of faith is feeling that other people have faith in us. People who love us and care for us are expecting something important for us in our lives. Who, in your life had faith in you? Hopefully it was a parent, or great parent, or some other relative, but sometimes that faith in us comes from people outside the family like a teacher, a coach, or a mentor of some other kind. And did you ever express faith in someone else’s life? It is the greatest gift of marriage and parenting to nurture and care about the other person’s growth and development. 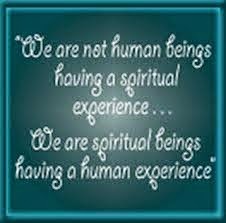 Helping ourselves and others become their whole selves we become co-creators of the universe. Becoming who we really are, being on the right track in our lives, actualizing our potential is the most satisfying and fulfilling thing in life which makes us happy. Stephen Gaskin said that ultimately the only thing we have to offer another human being is our own state of being.